We are open every day except 25th December (Christmas Day). Our opening times change twice a year in line with daylight savings. We stay open late when we have special events. Visit our events page here to find out more. Our prices include Adult, Child, Infant and Concession. Twycross Zoo is a charity and your tickets helps us protect endangered animals in the UK and around the world. 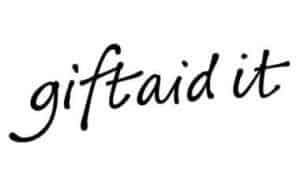 If you add a 10% donation we can claim tax back from the Government’s Gift Aid scheme. This means we receive an extra 25p for every £1 you spend at no extra cost to you. We also have prices for Groups, Schools and Memberships. Twycross Zoo is located on the A444 which can be accessed via the A5 and the M42 junction 11 (follow the brown attraction signs). Click here for directions to Twycross Zoo. Twycross Zoo is known worldwide as a specialist primate zoo with a wide variety of monkeys and apes as well as many other species, including some of the most endangered on our planet. Click here to see a full list of our animals. When is the best time to see a certain animal? Our animals have access to both indoor and outdoor habitats during the day and most of our indoor animal houses are open to visitors. Just like us, animals like to have some peace and quiet and our habitats are designed to give them places they can relax – which may make it harder to spot them. If you cannot see an animal, we suggest checking back later during your visit. Often the best time to see an animal is when they are being fed. Check out our daily ranger talks here. Alternatively ask at Guest Services or speak to a keeper both of whom will be able to advise on the best time to see certain animals. Where can we park and how much? There is several large car parks and an parking area for blue badge holders located by the entrance of Twycross Zoo . Parking is free. Cafes, toilets, and most of our animal habitats are accessible by wheelchair. Assistance dogs are permitted at Twycross Zoo, although they are not allowed in some selected habitats – speak to Guest Services on arrival for more details. Unfortunately there is no disabled access to the inside of the lemur house. Can I hire a scooter? Yes, mobility scooters can be hired for £12 and need to be booked in advance at Guest Services. Identification should be produced on arrival. Please call us on 0844 474 1777 for more information. We pride ourselves on providing you with great value quality food. Our Himalaya centre offers visitors a delicious array of food and drink featuring locally sourced ingredients from ethical suppliers. We also have a range of eateries on site, including the Twycross Fish Bar and several open grassy areas and benches for picnics. We also have an indoor picnic area. Twycross Zoo does not allow dogs on Zoo property, including all car park areas and the Nature Reserve. We can’t allow your dog into the zoo because some of the zoo’s animals will be upset by the sight of a dog and your dog might be upset by our animals. Assistance dogs are allowed into the zoo but are unable to go into several areas for the same reasons. Dogs must never be left in a car in warm weather, even with a window open. DOGS DIE IN HOT CARS. On a warm day the temperature inside a car can quickly soar to 120˚F/49˚C or even higher. If an animal left in a car is panting for breath it may be on its way to suffering heatstroke. Heatstroke can kill an animal very quickly. Leaving windows open or putting a bowl of water in the car does not help. Owners who put an animal at risk in this way could face prosecution. In April 2007 the Animal Welfare Act 2006 came into force making it an offence for anyone to allow unnecessary suffering to an animal. Shutting a dog in a car on a warm day can cause it suffering as even a little sun can turn a car into an oven. Dogs only have sweat glands on the soles of their feet and up to 90% of their body is covered by hair. Panting and salivating causes them to lose massive amounts of fluid and they dehydrate quickly. On a hot day a dog’s temperature can rise very quickly and they could suffer from heatstroke in just 15 minutes. The Zoo will not allow suffering to any animals, domestic or wild. Please be aware that visitors who bring a dog to the zoo will be asked to take the dog off site. Thank you for your cooperation. How do I become a zoo keeper? Becoming a zoo keeper takes a lot of work. A love of animals is, of course, essential! We would recommend getting as much experience as possible in zoos and wildlife centres. An animal-related degree is always an advantage. Take a look at our employment pages for any current vacancies. Will you donate a prize for our charity event? Are there any special offers on? 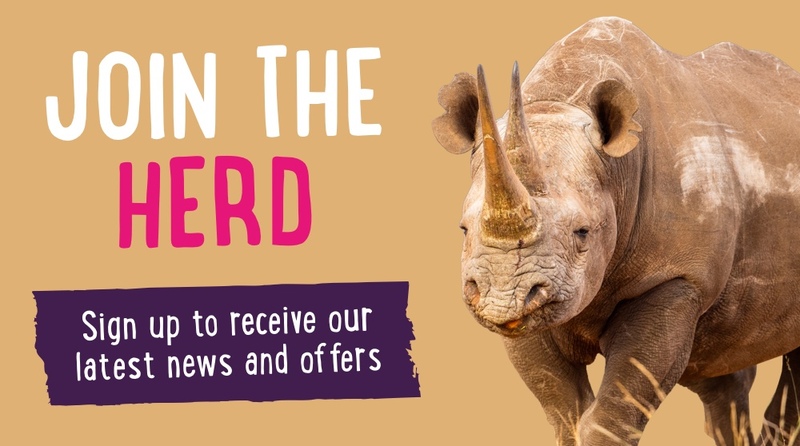 For the best value tickets, why not become a Member of Twycross Zoo? 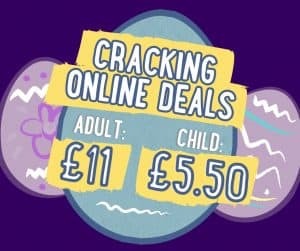 With membership starting at just £60 for an adult, and £45 for a child, and unlimited visits for 12 months, it could pay for itself in just three visits! 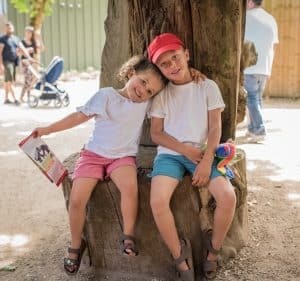 I’m a member of Twycross Zoo – can I bring my friends with me? Can I hold my party/wedding/event at the zoo? Can we feed or hold the animals? In order to give them the most natural life possible, we do not handle most of our animals. However, you can get closer to some of our friendlier animals in Pets@Twycross. You can feed several species at the Zoo, including penguins and meerkats. Yes, we accept most major credit and debit cards, and there is no charge for their use. Is there a cash point in the zoo? Yes, there is a cash point in our free-to-enter Himalaya centre. There is a small charge for use. How does Twycross help conservation worldwide? Can I do my work experience at Twycross Zoo? We can take on work experience placements, however these are very popular. Please click here to see if we have any available placements. What’s happening at the zoo on the day we’re coming? Take a look at our schedule of daily activities, animal talks and feeding times. We also have lots of events and activities planned throughout the year – see Twycross Zoo Facebook for more information. I’m a student – can I do my research at Twycross Zoo? Twycross Zoo welcomes research applications. Click here to find out more about previous projects and how to apply. What are your animals called? What new animals and exhibits are you planning on getting? We have lots of plans for new animals and exhibits and will announce them once they have arrived. We like to give our new arrivals time to settle in before they welcome lots of visitors! I have found a stray wild animal, or have an unwanted exotic pet. Can I give it to the zoo? We are members of BIAZA, EAZA, and WAZA and to ensure the health and welfare of our animals we can only accept animals from other members of these organisations. If you find an animal in distress or are no longer able to care for a pet, we suggest contacting your local RSPCA centre. Caring for an animal is a big responsibility that takes a lot of time and work, so please think carefully before buying any pet. Where is the Nature Reserve? Twycross Zoo Nature Reserve is an inland water ecosystem, developed to provide a natural habitat for rare and endangered native species. The Nature Reserve can be found towards the rear of our car parking area. Yes, we have plenty of picnic benches on site, and an indoor picnic area. We do ask that you please do not bring food and drink from outside into our Himalaya centre or other on-site restaurants. Yes, we have baby changing facilities in our Himalaya centre and at toilets around the site. Can I return to my car during my visit? Yes, you can come in and out of the zoo. Ask the staff at the pay kiosks to stamp your hand for you. What happens if I need First Aid? We have a team of fully First Aid trained staff on site. If you need First Aid please ask the nearest member of staff for assistance. Staff carry radios and can alert our team of First Aiders. Can visitors smoke in the zoo? Smoking is not permitted in any of the buildings around the zoo, including all covered areas. Smoking is permitted in all open spaces in the zoo, but we would ask smokers to be considerate of other visitors, and to dispose of all rubbish in the bins provided.